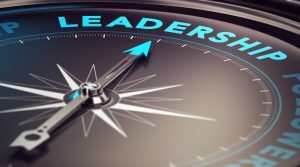 What are the secrets of great leadership? Great leadership depends upon our level of self-awareness, our willingness to learn and our acceptance that our actions and attitude influence everyone around us. When we assume a leadership role, all of our behaviour counts. Our ability to recognise and develop the qualities we naturally possess and a willingness to develop and improve upon those we don’t is what separates ordinary leaders from the great. Work with your staff, not above them. Avoid using your position as leader as the driving influence behind getting things done. Treat your staff as colleagues rather than minions and they will feel empowered to share their ideas. It costs you nothing to smile and greet staff as you go about your day. This essential courtesy practised consistently, transforms office culture. Support your team by listening to them, congratulating and thanking them for their dedication and effort. A great leader listens; they never assume they are the most intelligent person in the room merely because of their job title. And indeed they rarely are. You want your staff to succeed. You’re happy to take a backseat and give them their moment, and the recognition and rewards they deserve. You know your team, which is reinforced as you say hello as you pass each other in the hall. You do not pry; you are aware that Tom is coaching his son for his GCSE exams, and Martha is training for the marathon. You acknowledge that staff have lives and interests outside work. Your team feels valued and genuinely cared for. With the global war for talent, authentic relationships make all the difference. A great leader enjoys a balanced lifestyle. They work hard and take their time away from work seriously too. Whether its active involvement with the family or indulging in a favourite hobby, they know they make better leadership decisions if they are not over saturated with the pressures of the job. Your team knows you’re friendly, courteous and set a consistent example of acceptable behaviour. They also know you’re not easily fooled or manipulated. You navigate your team towards company goals and your team know they are in expert hands, no matter what the circumstances. Of course, there will be those days where everything appears to go wrong. On those days, you remain calm and exude confidence. It’s your job to keep the ship on course – and your team is led by your attitude and behaviour as much as they are by your direction. Your communication style is clear; your team understands what is expected. Do not hesitate to weed out under performing staff who cannot keep up. Timing is crucial; don’t wait. A great leader thinks creatively. Part of this creative thinking is knowing the difference between what is right and what is easy. A level head and strong sense of perspective focused on company goals get the job done. Throughout it all your team seeks guidance from you. Where do you go for your inspiration? It’s important you have a healthy perspective on your past experience to draw from, in addition to seeking out your own mentors’ wisdom to guide you. https://www.athena-executive.com/wp-content/uploads/2017/03/Athena-logo.jpg 0 0 admin https://www.athena-executive.com/wp-content/uploads/2017/03/Athena-logo.jpg admin2017-05-16 10:07:582017-07-28 18:44:44What are the secrets of great leadership?